Millard Franklin Conder, age 94 of Hardinsburg, KY died Thursday, August 16, 2018 at Beaver Dam Nursing and Rehab Center. He was born in Hardinsburg, KY on August 5, 1924, the son of the late Millard and Eliza Stinnett Conder. 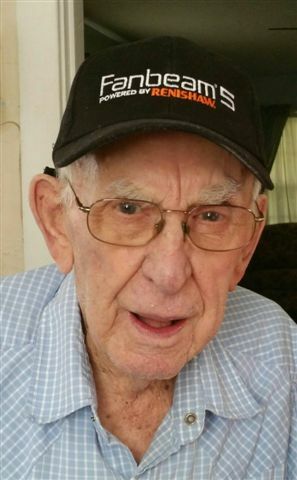 Frank was a WWII Navy veteran and member of the Methodist faith. He retired from Kasey's Car Wash. Frank had many interests that include family time, storytelling, reading the newspaper and watching the news to keep up with local and world happenings, watching westerns and cop shows, eating good food, chewing tobacco, singing gospel music and watching church services on TV. In addition to his parents, he was preceded in death by his wife Elnora, his son Richard, his sister Margaret Jarboe, his brothers Joe Conder, Dennie Conder, Robert Conder. Funeral services will be held at Trent-Dowell Funeral Home on Monday, August 20, 2018 at 1 PM with Bro. Kent Miller officiating. Burial will be in the Garfield Cemetery in Garfield, KY. Visitation will be held on Sunday, 4-8 PM and Monday after 8 AM.